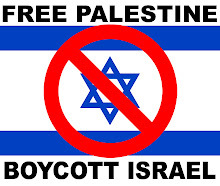 Blog do Tsavkko - The Angry Brazilian: Bi'lin Weekly Protest / This is Zionism! Bi'lin Weekly Protest / This is Zionism! After Friday prayers, the people began the weekly demonstration at Bil­­­­­'in, in which a group of international, Palestinian and Israelis from peace and anti-occupation movements gather to resist the building of the wall around the village in order to regain land that was taken in 2004. This Friday, demonstrators marched through the village towards the wall waving Palestinian flags, chanting anti-Zionist slogans demanding the cessation of the occupation and return of their land, and refusing the Israeli racist policy against our People in the occupied Palestine 1984, the protesters commemorated the martyr Bassem Abu Rahma and they were carrying metal shields, with his pictures, in order to protect themselves and others from Israeli fire. they also wear masks designed specially for Bassem, expressing his existence in all the demonstrations , and they are all Bassem. A delegation from the general union of the women's committees with the presence of the Parliament member Al-Rafiq Qais Abu Laila , and the minister of the social affairs Ms. Majida Al-Masri participated in the demonstration , and they received a detailed explanation from Bi'l'in popular committee on the experience of the village in the last years in resisting the apartheid wall . As the protestors arrived at the wall, they were greeted with a barrage of sound bombs, tear gas and rubber-coated bullets from the Israeli soldiers. The protestors demanded that the soldiers stop this strategy since the demonstration, involving internationals, was peaceful and nonviolent. The soldiers, however, continued to fire upon the protestors, injuring three Palestinians: minester of social affair Majeda el Masri and AP camera man Abed khabesa and Rani Burnat. In response, Palestinian demonstrators threw balloons filled with animal dung to counter the Israeli military's use of poisonous gas. The village is still commemorating the martyr Bassem Abu Rahma through the a series of events and festivals and also popular demonstrations . Two days a go a big festival organized by Fattah was held in the village in cooperation with the village institutions , and today Friday we started the sports festival early in the morning under the title " The tournament of the martyr Bassem Abu Rahma " organized by Bil'in sports club, many sports teams from the villages around are participating in this football tournament. as the martyr was a member in the administration committee of Bil'in sports club.